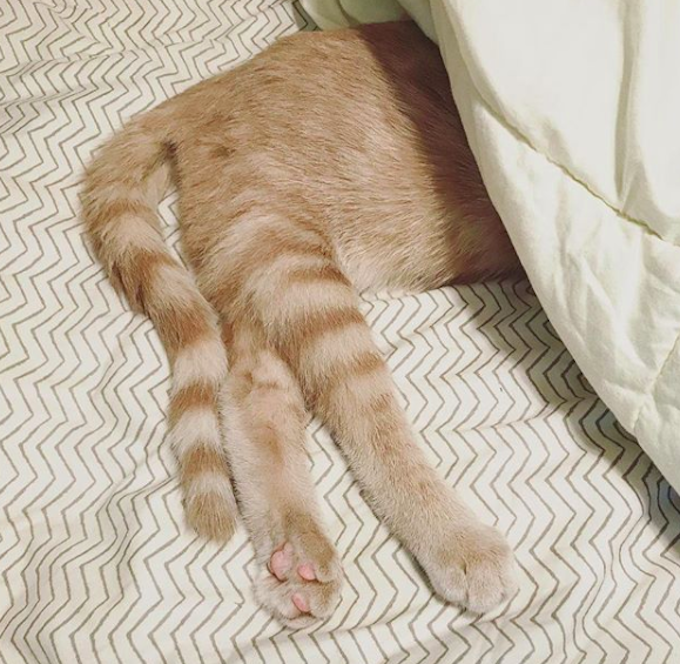 What would you do if you came across a kitten whose back legs didn’t work? 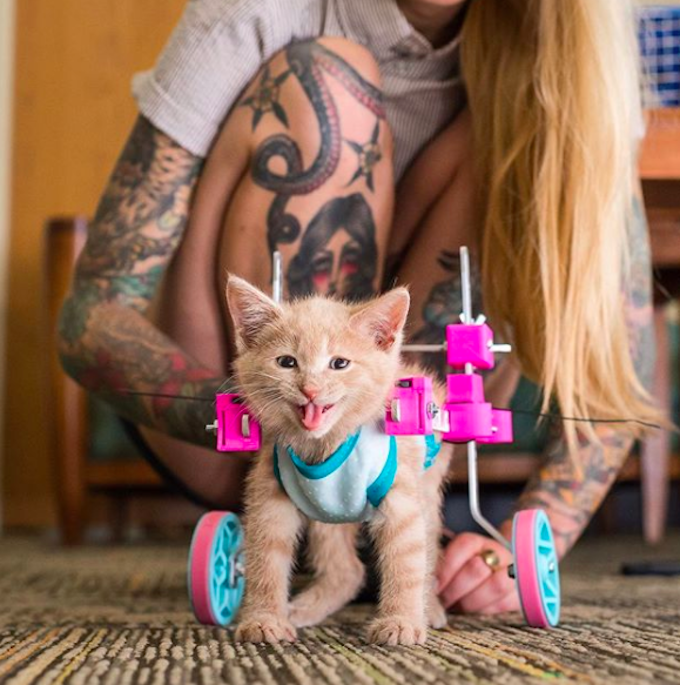 Well, if you’re Hannah Shaw, who’s known on the Instagram and foster circuit as the Kitten Lady, you decide that the tiny kitten with the paralyzed back legs could use a custom built, 3D printed wheelchair to help her get mobile. 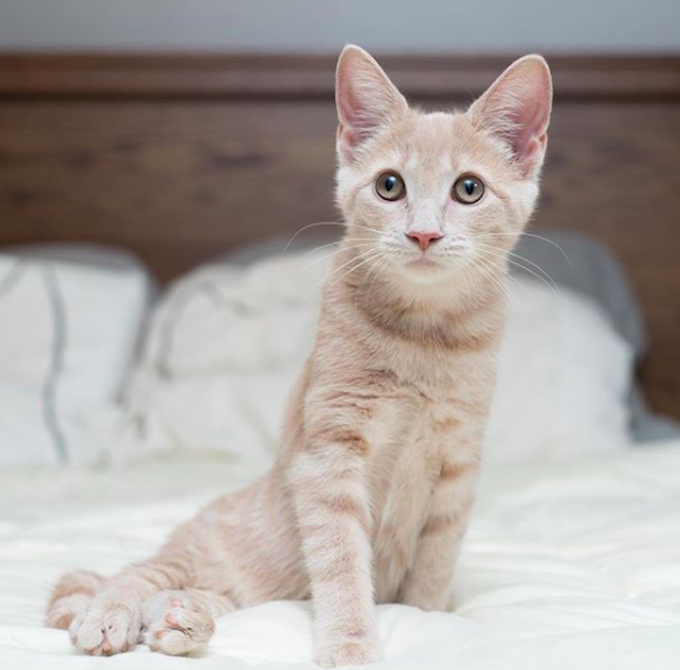 That’s just what happened in the case of Chloe, a ginger tabby with an expressive face. 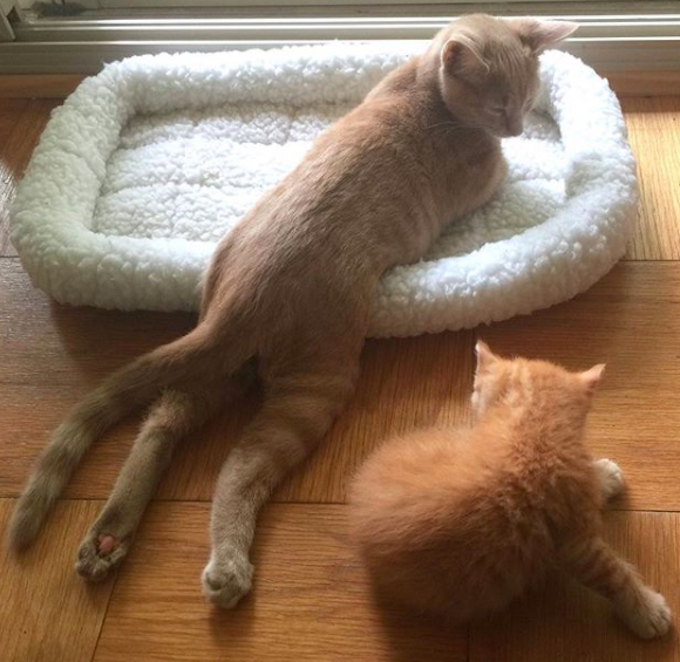 Hannah chanced across Chloe when she was at her local shelter and the staff told her about a kitten whose hind legs didn’t work. “Knowing that I’m always interested in saving those with the greatest needs, they asked if I’d be willing to give her a shot, otherwise she would likely be euthanized,” says Hannah. “I took one look at Chloe’s hopeful little face and knew I had to give her a chance. At some point, Hannah was struck by the idea that some sort of wheelchair device could aid Chloe in getting around. Serendipitously, around this time Preston Tobery, who works as an industrial technology coordinator at the University of Maryland Libraries, was shown an Instagram post about Chloe by his wife. 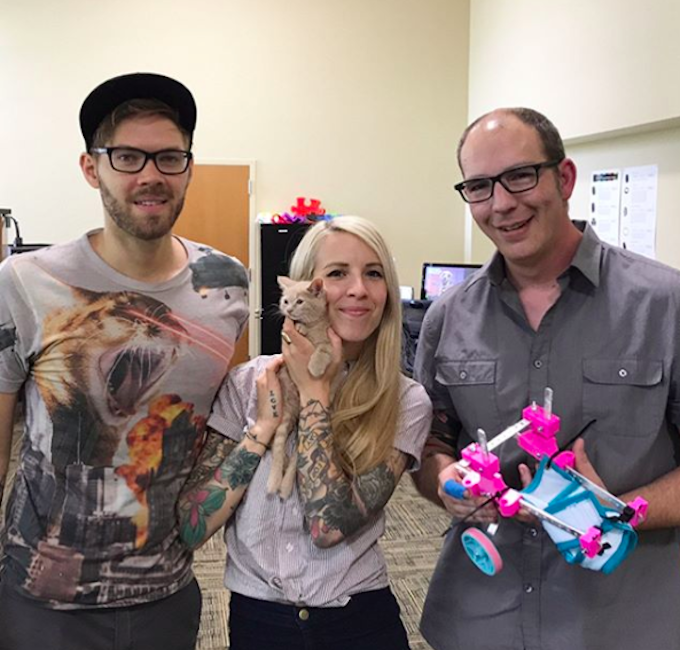 Preston, who has adopted three rescues himself, reached out and offered his expertise in the field of 3D printing. After speaking to Hannah and bouncing ideas back and forth, Preston was invited to meet up with Chloe. 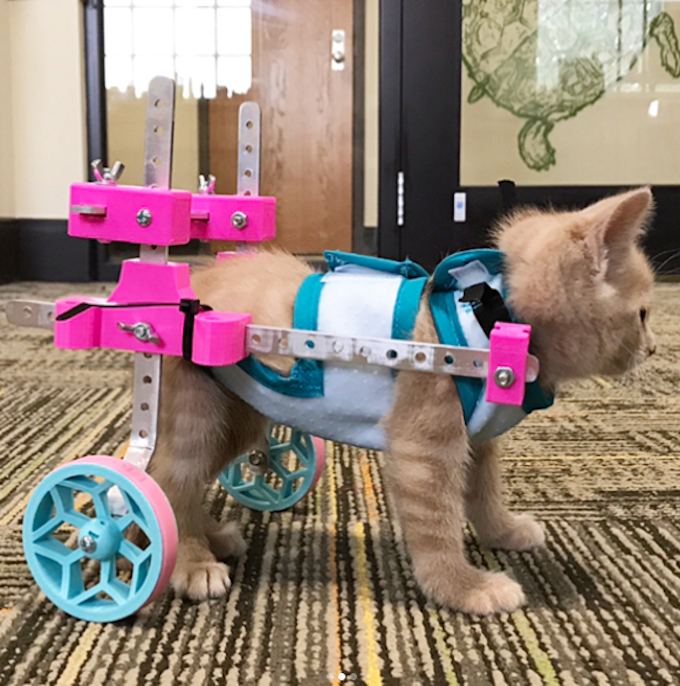 He arrived with a prototype wheelchair that he based on models listed on the ThingIVerse website, which allows makers to share their designs, models and ideas. 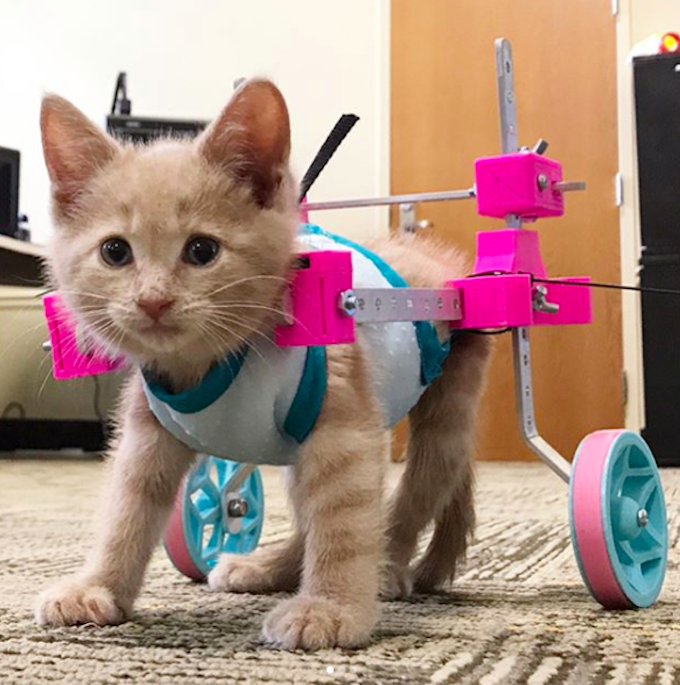 Chloe looks slick in her bespoke pink wheelchair, but it turns out that she’s not exactly enamored with the contraption. In Chloe’s case, this means focussing on modifying the environment around her by adding padded steps next to her bed and laying down yoga mats, which help her grip. Chloe’s also proved herself a determined trooper who uses her front legs to scoot around and chase toys, pop up and down stairs, and even surmount a nine-foot cat tree.